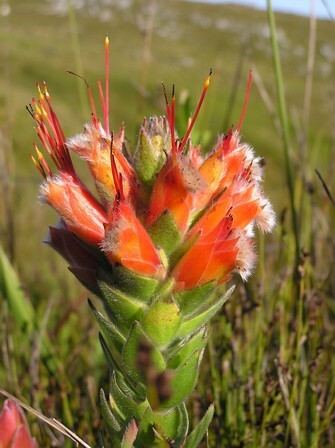 EOO 541 km², AOO 29 km², fire-related population fluctuations occur at five known locations where habitat quality and the number of mature individuals continue to decline due to wild flower harvesting. Some observed population declines are not understood, but may be as a result of inappropriate fire management or drought-related. Dormant subpopulations easily overlooked in surveys. Kogelberg, Groenland and Kleinrivier Mountains. 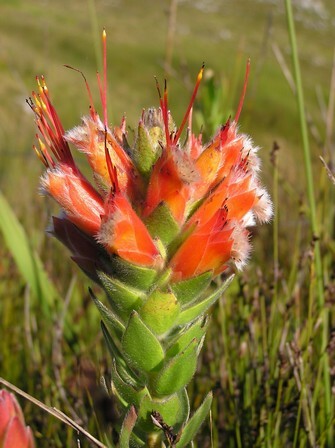 Largely confined to Kogelberg sandstone fynbos.